A skilled and emerging forward whose best basketball lies ahead, Basile was consistently solid for the Shooters in April as he helped them to a 6-2 mark during the regular season while filling the box score with 9 points, 6 rebounds, 2 assists, and 1 block per contest. He shot close to 53 percent from the field, almost 43 percent from beyond the arc, and he had a solid overall floor impact of 17.29 FIPG. He can finish at each level and he has the size and length to be a matchup problem at the Division 1 level in the right spot. A solid marksmen from down under, Elkaz delivered a strong floor impact of 21.13 FIPG for the Australian team this spring. His ability to contribute with and without the ball is impressive as his a long 6-5 plus frame for a shooting guard. He scored close to 16 points, grabbed almost 4 rebounds, and kicked out 2 assists per contest while shooting close to 48 percent from beyond the arc. Still developing, Elkaz was solid game in and game out and he heads into July as an intriguing and skilled 2018 wing for schools to pay close attention to. A lights out scoring talent when he gets it going, Lindsey helped his 15U team to a strong 7-1 mark on the spring with a healthy load of big games and solid scoring outputs. He has an excellent jumper, range that extends well beyond the arc, solid handles, and excellent feel to pair with size and vision. His ability to distribute, score, and contribute across the board was impressive this spring. When they needed a big shot or a big play Linsdey was the one who generally stepped up. He was impressive game in and game out during the spring sessions. Hard to find any fault with anything Petrie did this spring as his strong play helped pace his team to a stellar 8-1 mark during the regular season. Petrie was among the league leaders in Floor Impact (25.63 FIPG), Matrix (11.25 MPG), and Field Goal Percentage while shooting almost 70 percent from the field. His 13 points, 6 rebounds, 3 assists, and 3 steals a game were balanced and impactful on both ends of the court. 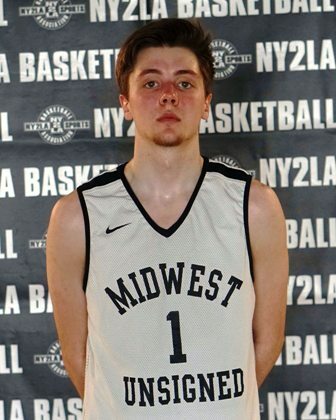 A strong sleeper in the 2018 class, Petrie was exceptional this spring and a huge factor in the Blizzard success during the first couple of sessions. Really like what Todd brings to the table in terms of current production and his future projections. The catalyst of a balanced and talented team, Todd posted a strong Floor Impact during the spring (21.13 FIPG) while scoring 13 points, kicking out 4 assists, grabbing 3 rebounds, and collecting a couple of steals a contest. He has the ability to take over the game with his perimeter stroke as was the case in a number of games. He has vision, handles, feel, and an advanced skill set that allows him to contribute in a variety of ways and brings solid stability and leadership down the stretch. Look for him to collect a lot of attention in July if he continues to elevate his play.